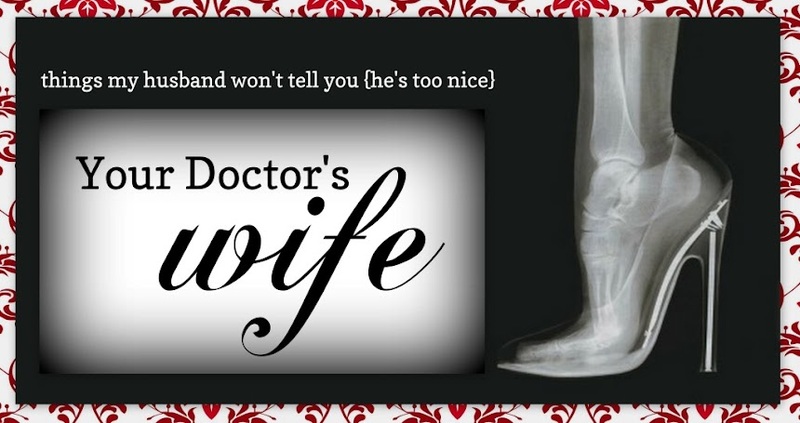 Your Doctor's Wife: Medical Monday News! I realize by now you all know the Medical Monday drill, but I wanted to bring some exciting news to your attention! You'll want to be sure you link up this month, because next month Jane at From A Doctor's Wife and I will be celebrating! In August, we will celebrate a year of Medical Mondays! We love the community we've built and we appreciate you all coming to the party each and every month, so we will be hosting a very nice giveaway which will be appreciated no matter what your budget!!! This giveaway will only be open to Medical Monday participants. Entries will be earned by linking up in August and you can even earn more entries by linking up this month. If you have friends who are living a medical life, be sure to invite them to the party! See you on the grid on Monday! This is awesome! Can't wait to join in the celebration of a year of medical mondays! Yay! "See" you on Monday! Where' s My Doctor When I Need Him?